I love this silly group selfie of my family...I actually used this for my Christmas card picture this year. It was perfect for my theme...So Lucky to Have Eachother. 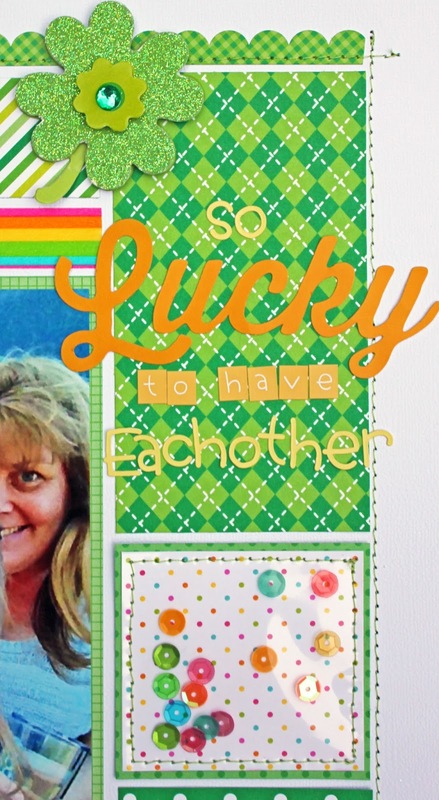 I LOVE the new Lucky Doodlepop...I can't resist anything glittery! And don't get me started on the Rainbow Stripe Washi! I added a little shaker to the layout to bring more of the rainbow colors into my project. 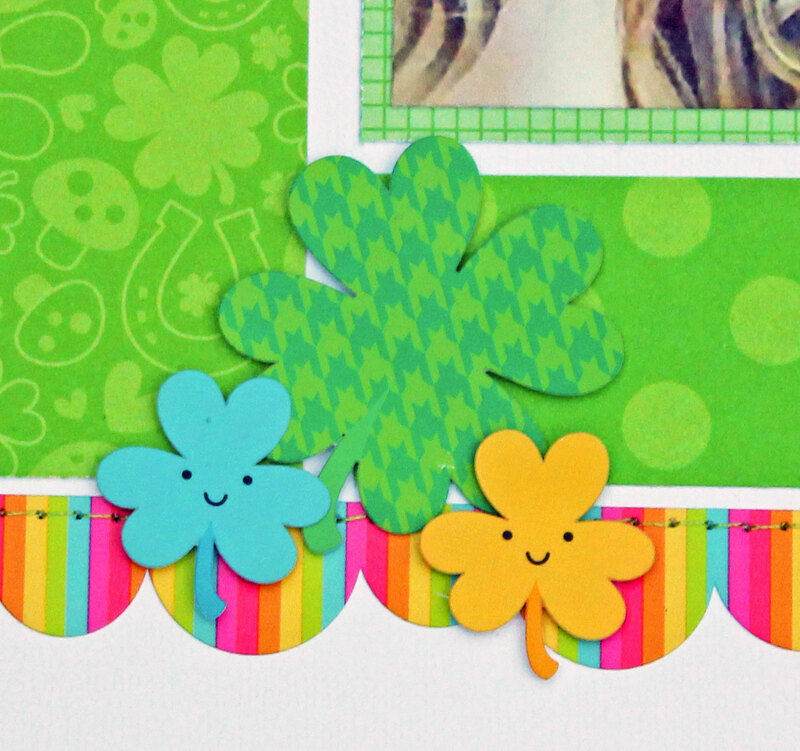 The little smiling shamrocks from the Icon Stickers sheet were irresistible as well! Well that's it for me today...make sure to come back for more Design Team inspiration! Thanks for stopping by! A super cute LO and that photo is so fun!!!! Kathy's layouts are always so fun and happy! I love her style! Such a fun and happy layout--Totally lives up the collection name! :) Loving your stitching around the outside edge. Kathy you LO is so amazingl!!!! Love it!! Everything is great but the picture and the face of you beautiful girl are the best!!! Súper!!! Love this! Great layout with all of the fun patterns but your slefie is my favorite part! I have a similar selfie and will have to use it on a layout too, thanks so much for the inspiration! Love this! So fun and bright. Rocking it as usual Kathy! 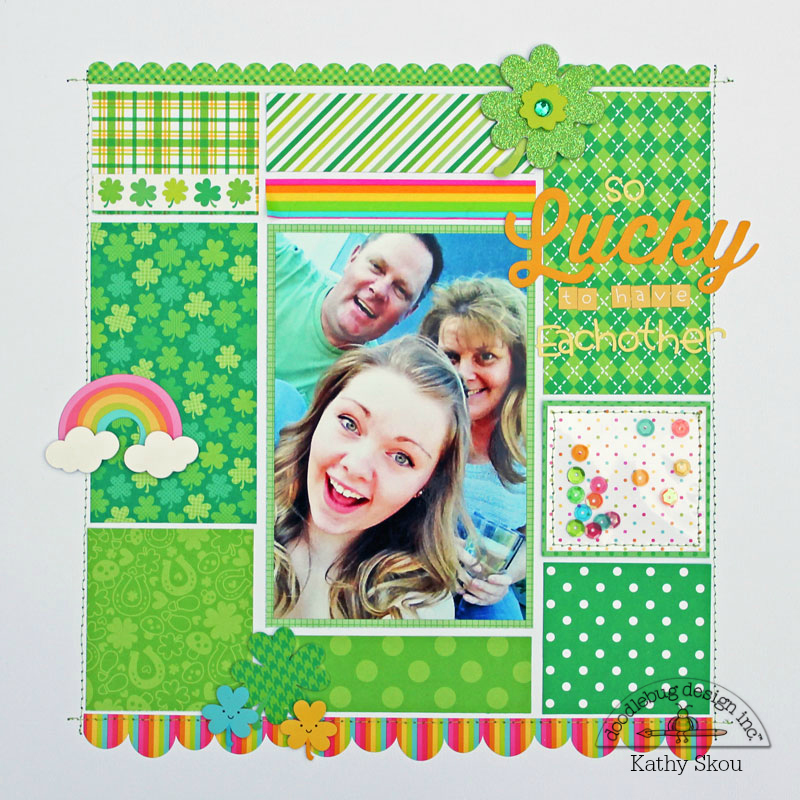 FUN selfie and FABULOUS layout Kathy - LOVE the design of your page!!! I do so ADORE the papers from this collection!!! Super great and very awesome details make me green with envy about this page!! I sure hope I can create something at least half this cute when I sit down with my Happy-Go-Lucky collection!! Kathy - you just have such a style and a classiness about your work - Thanks so much for the inspiration!! !